The PixelJunk developers emailed this one in and I had to keep quiet about it until the official announcement, but no more! PixelJunk Shooter is on its way to Linux. This comes after they recently released PixelJunk Monsters Ultimate to us so it seems we are gaining yet another Linux friendly developer. We promised you that we would bring more PixelJunk, so we are pleased to lift the curtain and reveal our next PixelJunk game: Shooter!! I'm not sure if you are familiar with the world of Shooter, so I will give you a quick summary: you must pilot your spacecraft through a range of cavernous environments in a bid to save the scientists trapped underground. Add dangerous enemies and hazardous substances to the mix and your mission becomes clear! 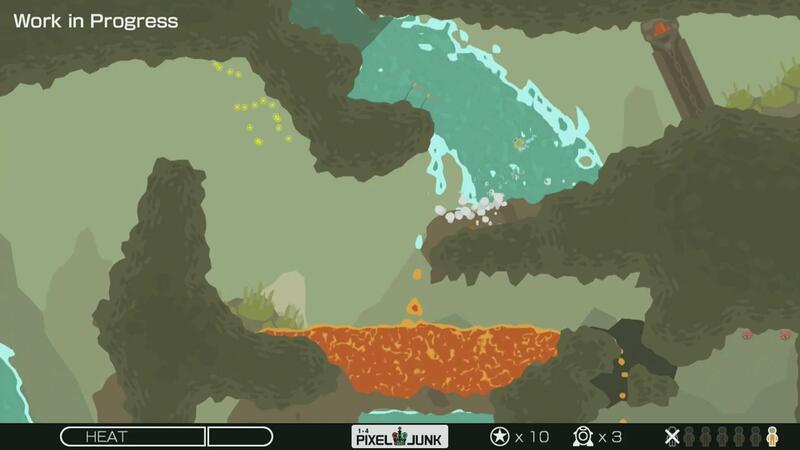 PixelJunk™ Shooter is made up of 15 stages and contains the fun retro visuals and soundtrack that PixelJunk fans have become accustomed to. It will be available through Steam and our other distribution partners for 11th November! The game will retail at £5.99/€6.99/$8.99. We have also coordinated the PC, Mac and Linux versions to launch on the same day (a simple thing, but it’s a first for us). I must say, this looks fantastic! We should be getting a review key when it's out as well, so you can expect one of us to properly cover it and give you our impressions (a PJ Monsters impressions is also to come). Excellent! This was my favorite of the PixelJunk games. Quote from adolson Excellent! This was my favorite of the PixelJunk games. Quote from Liamdawe I must say, this looks fantastic! Awesome, I will buy this one too for sure! My list is growing, this is good!